The New York Times — KAMPALA, Uganda — Mary Namata unbuttoned her dress in an examining room at Mulago Hospital, revealing a breast taut and swollen with grape-size tumors that looked as if they might burst through the skin. “How long have you had this?” a doctor asked gently. Ms. Namata, 48, an elegant woman with stylishly braided hair and a flowing, traditional Ugandan dress, looked away, shamefaced. “About a year,” she murmured. The truth, she admitted later, was closer to four years. Such enormous tumors, rare in developed countries, are typical here. Women in Uganda, trapped by stigma, poverty and misinformation, often do not see help for breast cancer until it is too late. For Ms. Namata, though, there was still hope that the cancer had not yet spread beyond the breast, her doctors said. Treatment could prolong her life, maybe even cure her — if it started soon. But would she be treated in time? Women in Africa often face perilous delays in treatment as a result of scarce resources, incompetence and corruption. Would Ms. Namata wind up like so many women here, with disease so far gone that doctors can offer nothing but surgery to remove rotting flesh, morphine for pain and antibacterial powder to kill the smell of festering tumors that break through the skin? Cancer has long been neglected in developing countries, overshadowed by the struggle against more acute threats like malaria and AIDS. But as nations across the continent have made remarkable progress against infectious diseases once thought too daunting to tackle, more people are living long enough to develop cancer, and the disease is coming to the forefront. Given the strides poor countries have made against other health problems, they should also be able to improve the treatment of cancer, public health experts increasingly say. Two years ago, the United Nations began a global campaign against noncommunicable diseases — cancer, diabetes, heart and lung disease — noting that they hit the poor especially hard. Worldwide, at least 7.6 million people a year die from cancer, and 70 percent of those deaths occur in poor and moderate-income countries, according to the World Health Organization. Breast cancer takes a particularly harsh toll. It is the world’s most common cancer in women and their leading cause of cancer death, with 1.6 million cases a year and more than 450,000 deaths. Survival rates vary considerably from country to country and even within countries. In the United States, about 20 percent of women who have breast cancer die from it, compared with 40 to 60 percent in poorer countries. The differences depend heavily on the status of women, their awareness of symptoms and the availability of timely care. At the same time, scientists’ deepening insights into the genetic basis of cancer have introduced a complicated new dimension into the care of women globally. Uganda is trying to improve the treatment of all types of cancer in ways that make sense in a place with limited resources. A new hospital and clinic, paid for by the Ugandan government, have been added to the Uganda Cancer Institute in Kampala, though they have not yet opened, for lack of equipment. A research center is being built. But women like Ms. Namata, with breast cancer so advanced that there is just a tiny window of time, if any, in which to save their lives, will be among the toughest challenges here. “The terrible part about breast cancer is that if we just did what we already know how do in other places, we could make major shifts in survival,” said Dr. Benjamin O. Anderson, who heads the Breast Health Global Initiative, based at the Fred Hutchinson Cancer Research Center in Seattle. There is a pressing need for action because breast cancer is “escalating,” the initiative says, predicting that incidence and death rates in developing countries will increase by more than 50 percent in the next 20 years. The breast cancer rate in Africa seems to be increasing, though cervical cancer kills more women in the sub-Saharan regions. It is not clear whether breast cancer is actually becoming more common, or is just being detected and reported more often, but physicians consider it a looming threat. Compared with breast cancer patients in developed countries, those in Africa tend to be younger, and they are more likely to die, in large part because of late diagnosis and inadequate treatment. Doctors also suspect that more aggressive types of tumors may be more common in young African women, as they appear to be in young black women in the United States, though there is not enough pathology data from Africa to know for sure. Among women who die young (ages 15 to 49) from breast cancer, 72 percent are in developing countries, and many leave small children. Ms. Namata, a gracious woman with a radiant smile, lives in Buddo, a village outside Kampala, in a three-room tin-roof house with no electricity or indoor plumbing. 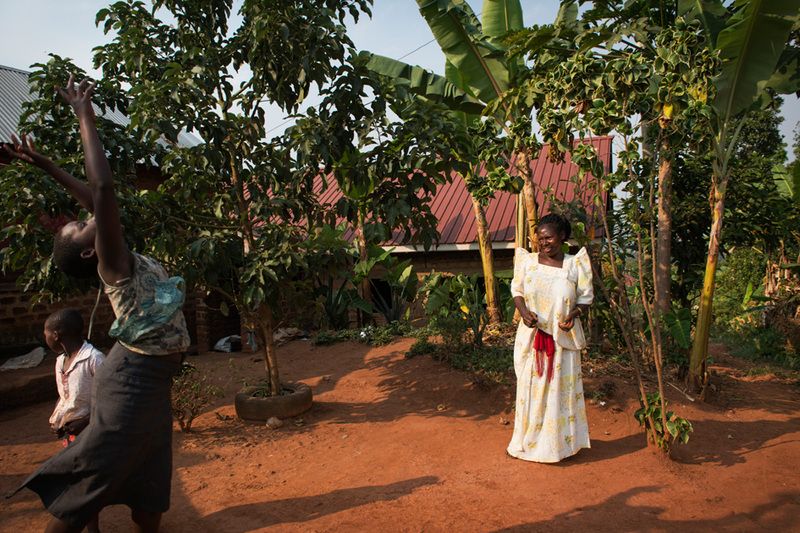 Lush jackfruit and papaya trees surround the house, which Ms. Namata shares with two granddaughters and her elderly mother, who is blind and a bit senile. 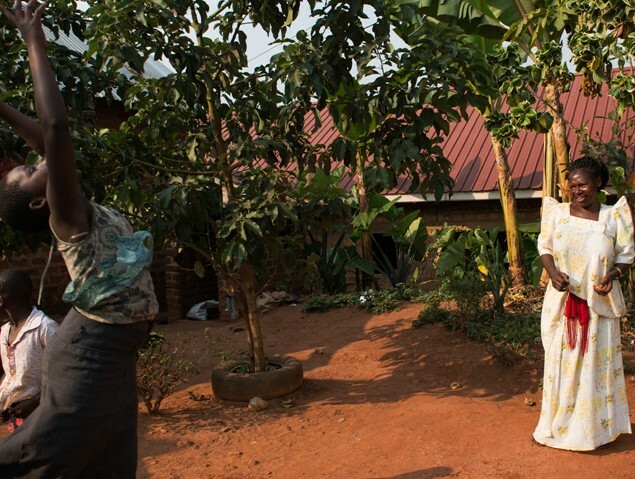 Ms. Namata used to farm, but now looks after her mother and the girls, while their mother — Ms. Namata’s only daughter — works as a hairdresser to support the entire family. Ms. Namata and her husband parted ways long ago. In late July, sitting on the cement floor with her granddaughters close by her side and her mother listening from a couch, Ms. Namata said that she had first noticed a lump in her right breast four years before, and that a doctor had told her the breast would most likely have to be removed. Her mother broke into the story, shaking her head angrily and insisting that no woman should have her breast cut off. Mastectomy is far more common in Africa than in developed countries, even for small lumps, because the technology may not be available to make sure that a lumpectomy is done properly. Ms. Namata went on, saying she had planned to have the surgery, but friends and relatives talked her out of it, telling her that it would just spread the cancer and kill her. Instead, she decided to try herbal treatments, which her daughter took out a loan to pay for. Herbs are popular here, widely used for stomach trouble and coughs, and many people try them for cancer. They are sold in shops and from vans parked along busy roads, and are peddled door to door by Masai tribesmen from Kenya. In Kampala not far from the cancer institute, herb peddlers in a van hawked remedies for ulcers, diabetes, toothaches and syphilis over a loudspeaker, and offered a yellow plastic container labeled Healthy Booster for $7 to treat cancer. Ms. Namata’s tumors kept growing and her breast began to hurt so much that she could not sleep. A hospice program for people with advanced cancer gave her morphine. Finally, on July 17, the pain drove her back to the breast clinic at Mulago. The clinic is held only once a week, and does not have enough doctors to see all the patients who show up; many are sent home week after week and told to come back another time. On this day, more than 100 women jammed its benches and dim corridors, where a guard called out warnings to beware of pickpockets. Ms. Namata was among the lucky few who were called in to be examined. A team of American doctors happened to be visiting. Dr. Constance D. Lehman, a radiologist at the Fred Hutchinson center and the director of breast imaging at the University of Washington, used ultrasound to scan Ms. Namata’s armpit, and then performed a needle biopsy. A pathologist from the Hutchinson center, Dr. Margaret Porter, studied the biopsy slide under a microscope. The Americans huddled with a Ugandan surgical resident, who suggested admitting Ms. Namata to the hospital immediately. The Americans were delighted. But Ms. Namata declined, saying she had to find someone to care for her mother and granddaughters. She promised to return. The American doctors, busy examining other patients, did not learn until later that she had left. Crestfallen, they wondered if she would come back. Breast cancer in Africa is usually not diagnosed until it has reached Stage 4, the final stage, when it has invaded organs or bones and cannot be cured. If doctors could just find the disease a bit earlier — known as “downstaging” — and start treatment at Stage 3, before the cancer has spread to distant parts of the body, they could increase a woman’s odds of survival by 30 percentage points, according to the 2012 World Breast Cancer Report, published by the International Prevention Research Institute. Downstaging could be accomplished by getting women like Ms. Namata into the clinic as soon as they notice a lump. But finding cases earlier will require sending health workers into rural areas to educate and examine women, Dr. Okuku said. Earlier diagnosis here would not require mammograms to search for tiny tumors too small to feel. Instead, American experts hope to help downstage breast cancer in Uganda by teaching doctors to use ultrasound to examine lumps that women have already noticed, and quickly identify those who most urgently need treatment. Ultrasound works better than mammography in younger women, and can help to distinguish cysts and other benign growths from lumps that need biopsies. In July, a team led by Dr. Lehman gave a course on ultrasound to doctors from Mulago Hospital and the cancer institute, which share a campus in Kampala. Dr. Lehman hopes eventually to set up a more efficient breast clinic, where women waiting to be seen would sort themselves into “more and less worrisome groups” by matching their symptoms to images on a laminated card. The images would include photographs of bulging tumors in the breast so that someone like Ms. Namata could move to a high-priority group. “I know that paradigm can work, and I know it can be translated to countries around the world,” Dr. Lehman said. She and most other breast cancer specialists say that the last thing Africa needs is to mimic the screening programs in richer countries that offer mammograms every year or two to all healthy women over the age of 40 or 50. There are nowhere near enough trained people in Africa to run the machines, maintain them and read the scans. 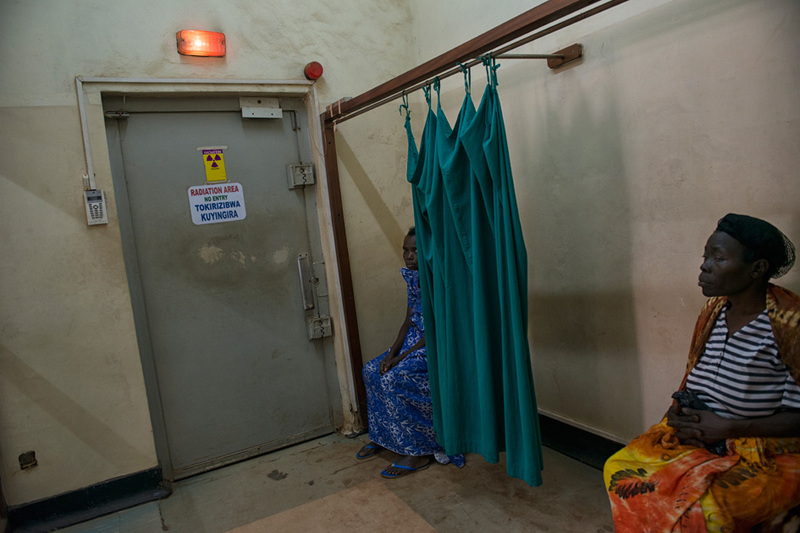 In Uganda, a donated mammography van was used for a cancer-education program — not for mammograms. Experts say that emphasizing mammograms could divert resources from the many women who urgently need care for palpable lumps that can easily be found without mammograms. In any case, mammography would not do a good job of finding tumors in the large proportion of African patients under 50, because younger women have dense breast tissue that hides tumors from X-rays. Gertrude Nakigudde is an accountant for an international freight forwarding firm in Kampala. Twelve years ago when she was 28, she noticed a lump in her breast. Assuming she was too young to have cancer, she did not see a doctor for about a year. By then, she had Stage 2 breast cancer — a tumor more than two centimeters in diameter that may have spread to nearby lymph nodes — and needed a mastectomy and chemotherapy. The treatments came as a tremendous shock. No one warned her that her hair would fall out, or that she would vomit. The government did not help to pay for chemotherapy (as it does now), so she had to buy the drugs, syringes and gloves herself. Once, on a hot day, her medication deteriorated in the heat on the way to the hospital and had to be thrown away; no one had told her it had to be kept cold. Radiation treatment was recommended, but the machine was broken, so she gave up and went without it. She joined forces with other patients to form the Uganda Women’s Cancer Support Organization. It now has about 50 members. Its volunteers visit the cancer institute and the breast clinic at Mulago Hospital to counsel other women and hand out pamphlets, bras and breast prostheses. Most of all, they try to spread the word that breast cancer can be cured if it is treated early, and to dispel stigma and misinformation. Some women believe that cancer is always fatal, which becomes a self-fulfilling prophecy by keeping them away from doctors. Patients encounter demoralizing drug shortages and mistakes like lost biopsies that can lead to dangerous delays in care. Chemotherapy is supposed to be free at the cancer institute, but if it runs out of drugs, patients have to buy their own. And the drugs do run out, because the government agency that supplies them does not consistently order enough. In addition, some drugs have become harder to obtain because problems with counterfeit chemotherapy drugs from India have led the institute to stop buying from that country, which has been an important supplier. A number of women in Ms. Nakigudde’s group have been deserted by husbands or boyfriends because they have cancer, she said, counting herself among them. Some have been fired from work for taking time off for treatment. It is not uncommon for women to try to keep the disease a secret, for fear that if word gets out, no one will marry their children. Women with one breast are sometimes shunned as witches or as having been cursed by a witch. Ms. Nakigudde said one of the biggest problems for breast cancer patients is that the cancer institute does not yet offer surgery or radiation, so women must seek those treatments at Mulago Hospital, which is huge, disorganized and intimidating. Its radiation machine, the only one in the country, is a rickety cobalt unit long past its prime. 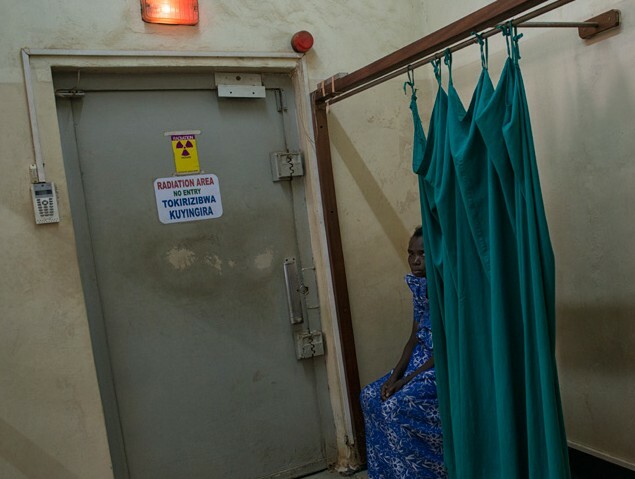 There is such a demand for treatment — patients are referred here from Kenya, Rwanda and South Sudan — that the machine is kept running night and day. Ms. Nakigudde and other group members have also tried to expose what they describe as a culture of bribery that delays or denies treatment. The hospital has two tiers: free, public wards for the poor, and a private one for those who can pay. Paying patients are generally treated more quickly. Ms. Nakigudde said her group receives numerous reports from women who are supposed to receive free care but say they are being pressured to pay surgeons and other hospital employees for everything from being admitted to shortening the wait for surgery or radiation. Her group has been working with a bioethics committee at Makerere University (whose medical students train at Mulago) to find a way to discipline doctors and end the demands for money. A spokesman for Mulago Hospital, Enock Kusasira, confirmed that there were problems, noting that it is a massive complex open to the public and teeming with 7,000 people on any given day — 5,000 patients and their relatives, and 2,000 employees. A week after seeing the American doctors — who by now had gone home — Ms. Namata traveled two hours back to Mulago by bus, two motor-scooter taxis and another bus.Expecting to be admitted, she hauled a suitcase, a plastic jug holding more than a gallon of water and, because hospitals here do not provide sheets or blankets, an enormous roll of bedding. The pressure of the bedroll against her breast clearly pained her. The activist, Ms. Nakigudde, had put in a word for her, and a surgeon had agreed to see her. Led by a member of the group, Ms. Namata squeezed through the crowded corridors. The surgeon examined her but did not admit her, telling her instead to return the following Monday for a mastectomy. Drug treatment would come after the operation, he said, giving advice contrary to that offered by the American physicians. She hauled her belongings home. The next Monday, she was admitted to Mulago Hospital. She waited for a week in constant pain before another surgeon finally examined her, only to tell her, as the American doctors had, that it would be better for her to take drugs to try to shrink the tumors before surgery because they were so large that it would not be possible to close the wound. She left the hospital frustrated and frightened, beginning to doubt that she would survive. But she made her way to the cancer institute, where she began receiving chemotherapy on Aug. 19. Her hair, expertly braided by her daughter, is now gone. Her skin has darkened, a common side effect of chemotherapy that African women find particularly distressing, for aesthetic reasons, but also because H.I.V. treatment does the same thing, and people assume they have AIDS. She calls Ms. Nakigudde just about every night for advice on what to eat, and reassurance that her hair will grow back. The cancer institute has run out of chemotherapy drugs again, so she must buy them herself, and is struggling to scrape together the cash. Sometimes, rather than asking her daughter for money, she borrows from other people. But the tumors seem to be shrinking. She no longer needs morphine. In a few months, she hopes to have surgery. And she prays that she will live. Jennifer Bakyawa contributed reporting from Kampala. Hello. I would like to visit namata, email me her telephone contact or second name I can go to the cancer institute and look her up. Thanks for article. Je peux te dire que ce n’est nullement faux !! !